Spring Gardening: What Is Irrigation and Why Do You Need It? | Augusta Green Sprinklers Inc.
Watering your plants is one of the most basic, but essential, parts of growing a garden. Setting up an irrigation system specially designed for your landscape will not only lessen the time and effort you need to spend to make sure your plants grow healthy, but will also bring a host of other benefits. Irrigation is when water is artificially applied to land for gardening and agricultural purposes. 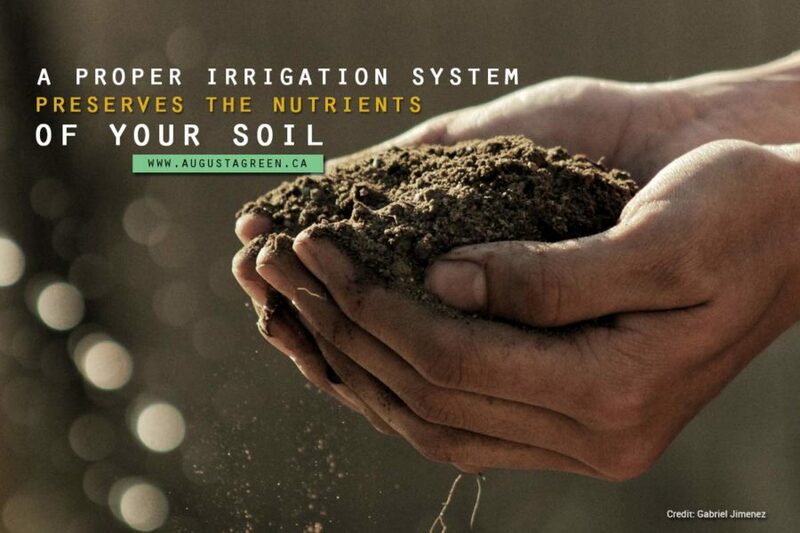 If irrigation is effective, it influences the entire growth process of plants from seedbed preparation, germination, root growth, nutrient utilization, all the way to harvest and regrowth. Deciding whether you need an irrigation system — and if so, what kind — requires a fundamental knowledge of system design, equipment, plant species and growth stage, soil composition, root structure, and more, that a professional in the field can provide. Drip irrigation -delivers water directly to the plants at the root. Although this is the most water-efficient method of watering, it is also the most expensive. This type of irrigation system is best for small or experimental gardens. Mist irrigation – is similar to drip irrigation, but it uses different tips that produce a fine mist instead of water dripping down to the roots. This system costs less than many other systems and uses low water pressure. Bubbler or soaker irrigation uses a flex or soaker hose to water the plants from underneath. The hose is connected to a water faucet and runs under bedding or ground covering to water the plants, bushes, or trees by the roots. Pop-up Sprayers are underground sprinklers that remain hidden until they are used. When they pop up, they use a constant spray that covers the area. Pop-up Rotors are similar to pop-up sprayers but release a solid stream that rotates to spread the spray. This type of system uses more water but can cover a much larger area. Impact Sprinklers uses an impact bar to spray near and far away from the sprinklers and can cover a larger radius than rotors. 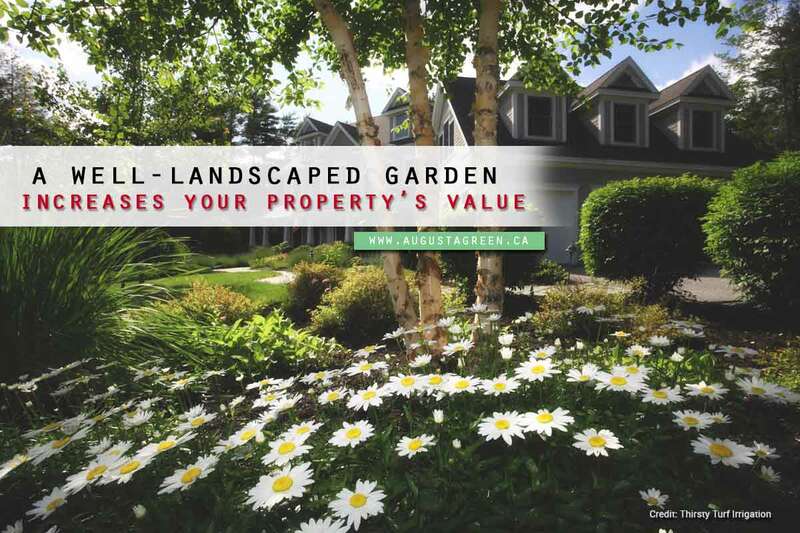 Having a gorgeous landscape with green grass, sturdy trees, and healthy plants all contribute to the increase of the market value of your property. Investing in an irrigation system takes care of the appearance of your garden and boosts the monetary value of your home, should you decide to put it on the market. Irrigation systems can be set to daily or weekly watering, and can be timed for specific hours of the day. The system will automatically shut the water off when the irrigation process is complete. This automated system efficiently uses the water supply, keep your water usage low, and possibly decrease your water bill. You do not have to be physically present for the irrigation system to do its job effectively. The system will turn on and shut off automatically, depending on the frequency and schedule you set for it. 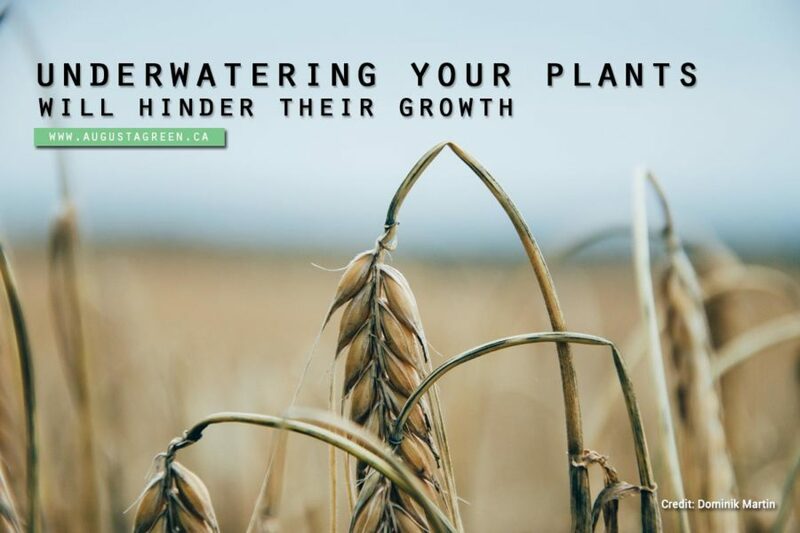 This means you can occupy your time with other activities or go on trips without having to worry about whether your plants are being watered. 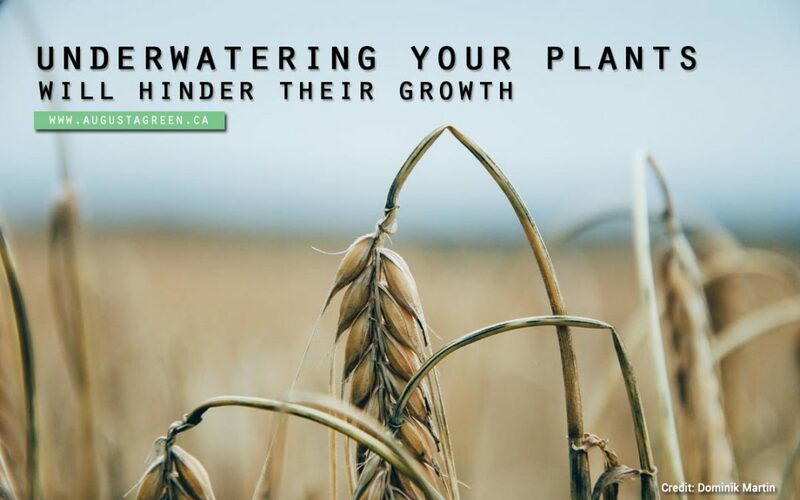 Plants grow faster and greener when they are watered with small amounts over an extended time. This is precisely what an irrigation system does. Installing an automated system improves the quality, growth, and appearance of your plants. An irrigation system that is designed specifically for the landscape in your garden means that only areas that need water will receive it. This limits the possibility of weeds growing in your property. When watering your plants manually, some of the water may seep into the soil. When this happens, nutrients flow away instead of being absorbed by plants. Furthermore, using a hose can press soil together, possibly causing your plants to suffocate or contract diseases. An irrigation system in your garden can prevent all these by preventing runoff water and preserving the structure of your soil. As rainfall is typically experienced in spring, you generally will not need to water as frequently. Pay attention to how much it rains. The more it rains, the less watering you have to do. During spring, watering two to three times a week should be enough, depending on rainfall. As the temperature increases, so should your watering. During hot days, watering is a top priority for gardeners. During summer, your plants may need to be watered every day. Fall is thought to be the end of the growing season. During this time, plants do not need to be watered as frequently or as intensely as they do during summer. If snow hasn’t started to fall, water your plants twice or thrice a week. 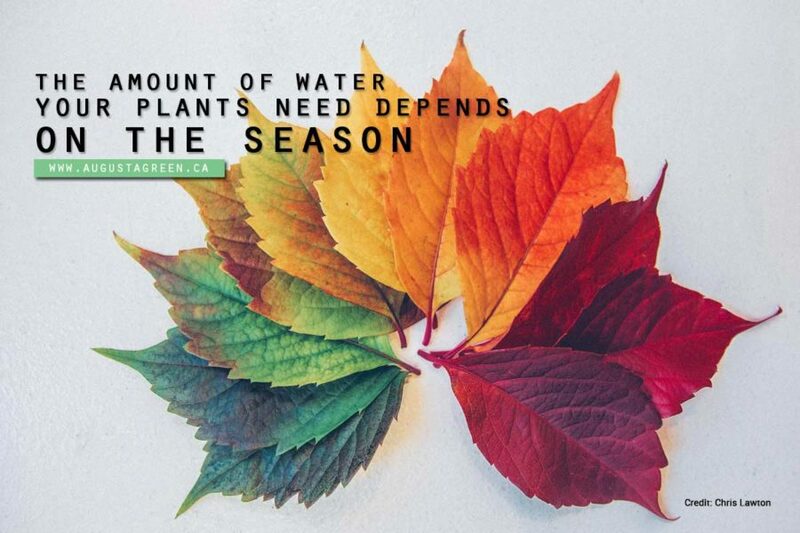 Compared to other seasons, plants require watering the least during winter times as they are starting to go dormant. Water twice or thrice a week, and only before the frost hits. Watering too much or too little can affect the health and appearance of your grass, trees, and other plants. Having an irrigation system set in place will prevent under watering and over watering of your plants. 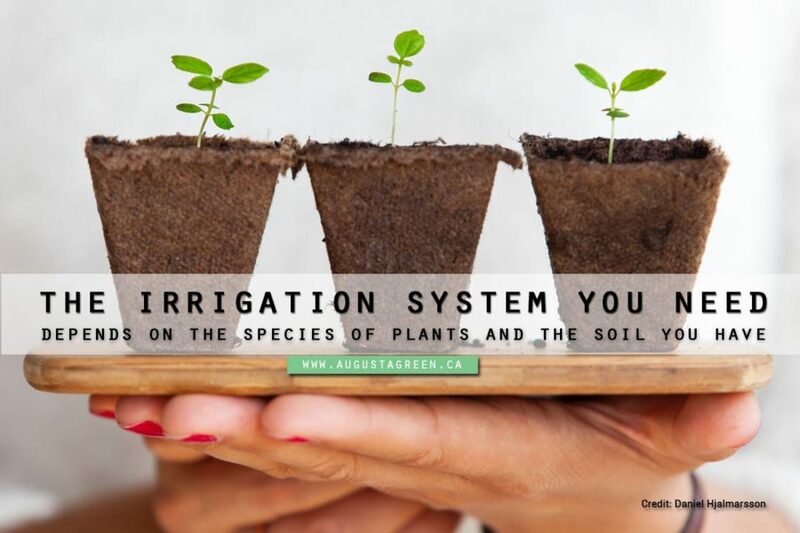 The kind of irrigation system you need installed in your garden depends on a variety of factors including the species of plants you grow, the type of soil in your garden, the amount of rainfall you receive, and more. 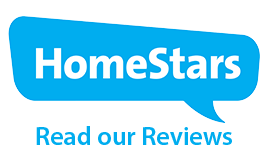 To determine what kind of system will work best for you, call for professional help. If you’re looking for a team to set up an irrigation or sprinkler system in Toronto, make an appointment with Augusta Green Sprinklers. You can reach us at (416) 227-1666. We also serve Mississauga and Oakville.